Showbiz is all about entertainment and nurturing some talented artists. Entertainment has become a necessity with the rigorous working environments. Showbiz rules the world of entertainment and without hard work and talent its difficult to make an impression. There are many inspirational artists who have paved their way towards becoming celebrities. Recently I came across a famous comedian “Ben Gleib”; it was astonishing to know that he had struggled with a speech impediment during his childhood. Since he used to own the stand-up comedy stages with ease. Ben Gleib wanted to be a comedian from the age of 5 years but he couldn’t talk. But he was a fighter and paved his way through lot of stammering. Now he is a well reputed comedian who recently debuted in the Showtimes with “Neurotic Gangster”. He has even hosted the GSN’s Idiot Test game show and has appeared in several other shows like Chelsea Lately, Comedy Central’s @Midnight and NBC’s Wedding Crashers. 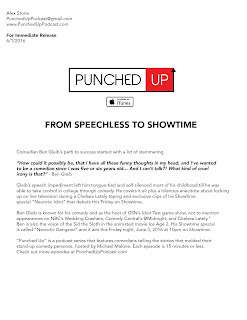 Recently there was an interview of Ben Gleib with “Punched Up”. Its a podcast series where he depicts his real life story from his childhood irony to reaching his dream of becoming a stand-up comedian. 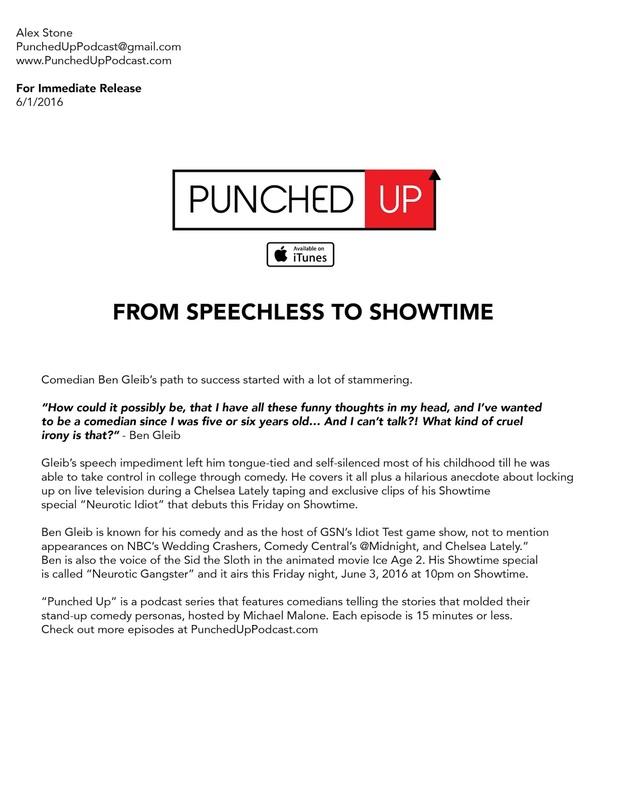 You could checkout his podcast series in PunchedUpPodcast.com and below is a article by Punched Up on "Ben Gleib".